The forming of this supergroup is mysterious, much like Ant’s (often) darkly musical soundscapes and the four MC’s esoteric and inventive lyricism. Initially, the Dynospectrum seed was planted by Beyond while recording his aforementioned Comparison album. 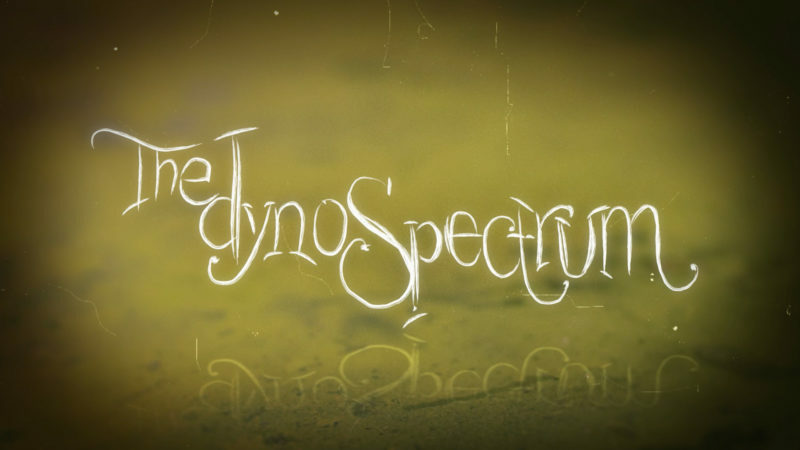 On a quest to create a unique word to define the music he made, he settled on “Dynospectrum” and, satisfied with that definition, he used it as the title for a solo song on Comparison. 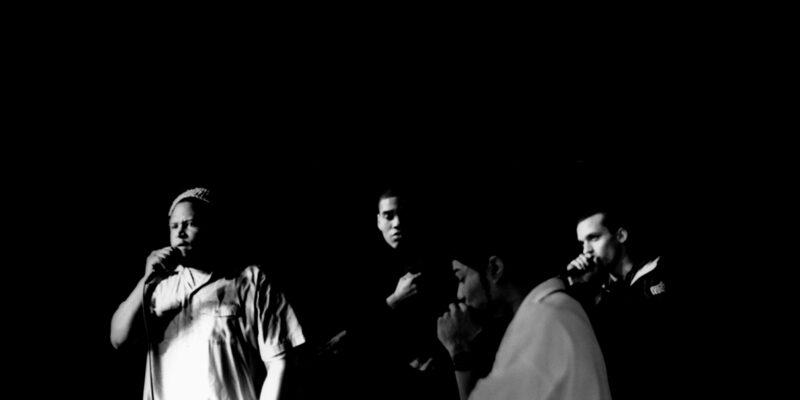 In the interim, Beyond and Slug were on a rampage at that time, tag-teaming on live shows, ciphers, basement freestyle sessions and MC battles in the Twin Cities area. The two were pushing each other creatively, and sharpening their skill sets in the process. As a result, Beyond suggested they form a group. Slug agreed and they began piecing together the concept. Meanwhile, I Self Devine found himself back in the Twin Cities after being away in Atlanta for some time. His return took place right around the time the Headshots were making their name known on the scene. Previous to the forming of Headshots, I Self Devine had been a pivotal pioneer and inspiration on the Twin Cities scene, through the impressive work from his group The Micranots, and their extended crew, U.V.S (Universal Vibe Squad). Not long after his return to the Twin Cities, I Self saw Atmosphere perform at the Mighty Fine Café, with the song “God’s Bathroom Floor” particularly catching his attention. That night, he made a mental note that connecting with Atmosphere and the Headshots collective was a logical step in continuing to be a driving force on the scene. As it turned out, I Self ended up connecting with both Beyond and Slug independently of one another, and each of those developing relationships led to the idea of making music together. Unfortunately, this all finally manifested under tragic circumstances when the original Headshots members reunited to record the Headshots tape, History, to honor fellow crew founder, Sess, who had recently passed away. 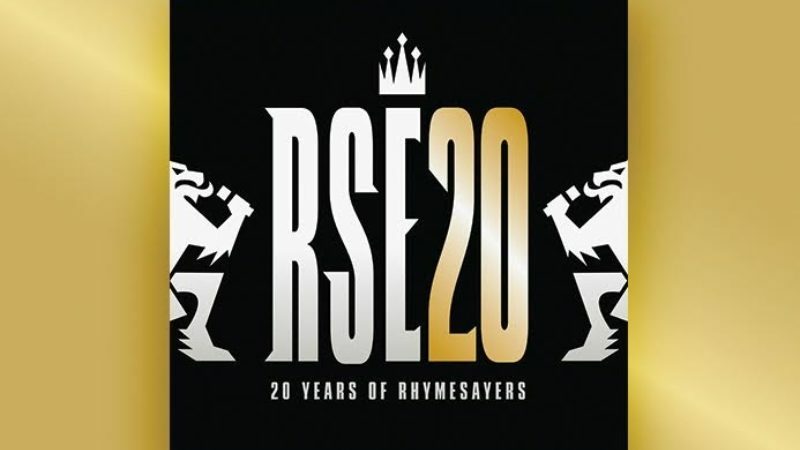 I Self Devine wound up being the only additional artist on the tape who wasn’t an original Headshots member, providing a verse on “Revival” alongside Slug, Spawn and Beyond. 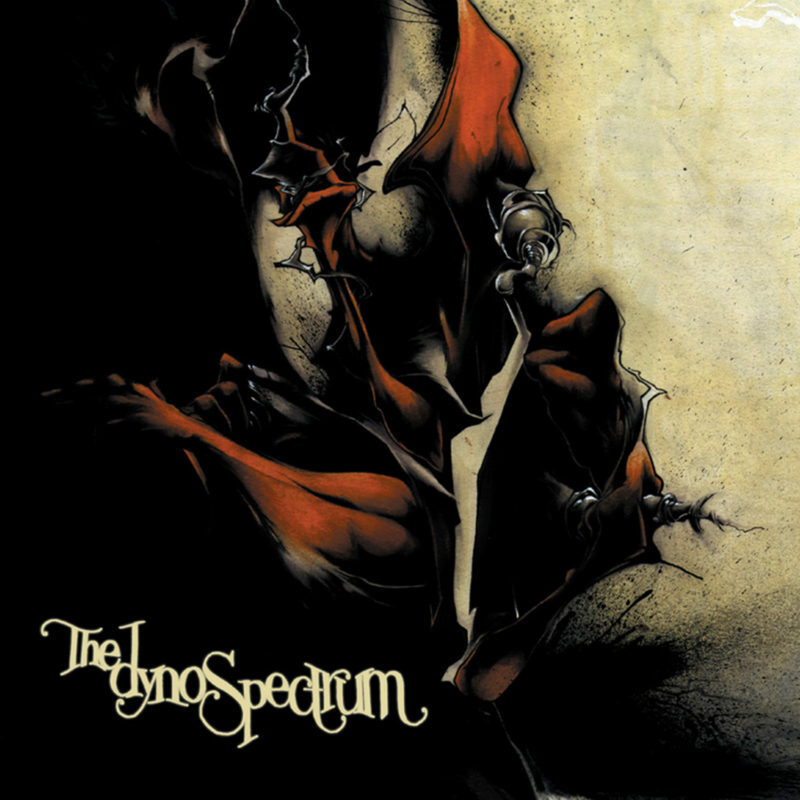 Additionally, History was also the home of the first official Dynospectrum offering, “The Struggle Song”. However, to get to that point, we need to take one step back. I Self Devine remembers one night, likely in the spring of 1996, while riding with some of the Headshots crew in Siddiq’s jeep, when he was asked to join this group that Slug and Beyond were putting together. In fact, on this drive, I Self was playing them a tape of early demos for the upcoming Micranots album, Return Of The Travellahs, and that was what prompted Beyond to extend the offer. As history has revealed, I Self accepted that invitation and they immediately starting converging in Ant’s infamous basement studio, dubbed The Factory, to begin crafting songs. They were only a few songs into their adventure when they realized there was still something missing from this formula. The missing element was found in Swift The 90 Degree Angle, an MC from the group Phull Surkle, who was also an original Headshots member. It’s worth noting that adding the Gene Poole process to the mixture wasn’t merely an afterthought. Phull Surkle, while teamed up with live band Casino Royale, were critical in building opportunities for local Hip Hop artists due to their explosive performances at any local venue in town that was booking Hip Hop at the time. Furthermore, at the dawn of Dynospectrum’s formation, Swift’s hunger had increased notably, and his writing and vocal intensity were both aggressively reaching for a new pinnacle, a reality thoroughly proven by his performances on the Dynospectrum album. In terms of how Dynospectrum actually became the name of the crew, there is a bit of debate on whether it was decided by Beyond or Slug, with each thinking it was the other’s decision, but I Self Devine does recall that name was already attached when he was asked to join. In an effort to create a uniquely conceptual project that acted as much as a departure as it was an extension from all of their previous work, each member in the crew took on a Dyno name; Beyond was General Woundwart, Slug was Sep Sev, I Self Devine was Pat Juba, Swift became Mr. Gene Poole (a name he would go on to maintain ever since), Siddiq was Dr. Moreau, and Ant became Solomon Grundy. Adding to all the mystery surrounding the album, there’s been a bit of uncertainty on determining the album’s actual release date. However, based on some old press articles, it seems likely the album released on, or around, October 13th, 1998, making the fall of 2018 the 20-year anniversary for this monumental release. As for the album itself, the music is filled with the lofty and often enigmatic ideas of four imaginative lyricists, all bent on showcasing a mastery of language, plus an entrepreneur with an acute ear, actively figuring out the intricacies of sound and engineering on a whim. Perhaps the most essential element though, was an aloof yet assured soundsmith, flourishing in his explorations of painting sound with dark and moody strokes. 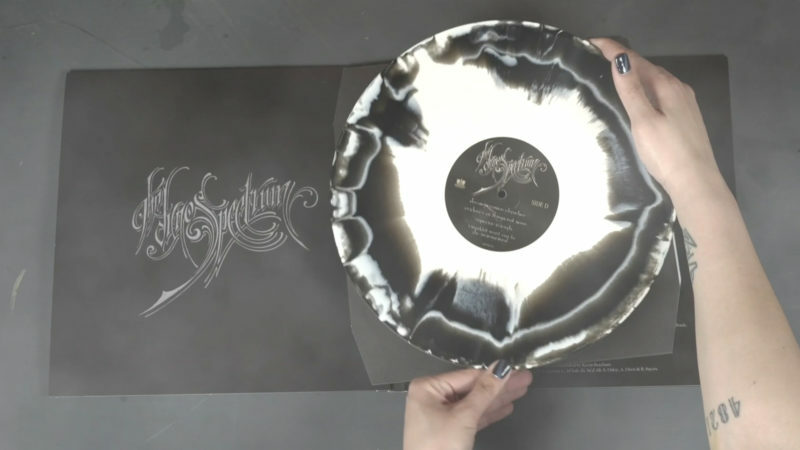 Lastly, and undoubtedly, a signature aspect to this album was its iconic artwork, provided courtesy of the Headshots resident artist, Aaron “Abuse” Horkey, whose uniquely exquisite graffiti stylings gave the album a comic book-like essence while maintaining an air of elegance and fine art. The Dynospectrum (20 Year Anniversary Remaster) Packaging Reveal! 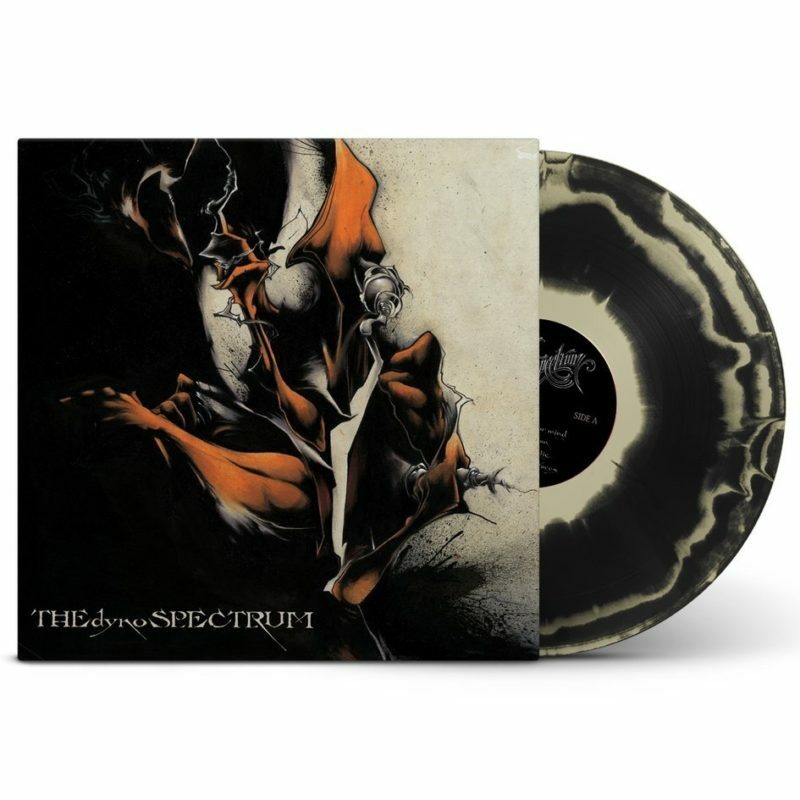 The Dynospectrum 20th anniversary vinyl hits shelves May 4th. Pre-order yours now! Limited edition Dynospectrum T-shirts and hooded sweatshirts also available to bundle with your pre-order, while supplies last.